Just 55 years after the American Revolution New York City was ready for mass transportation. On April 25, 1831 it granted the first street railway franchise to the New York and Harlem Railroad Company. The franchise concept allowed independent companies to operate street cars on specific streets in exchange for maintaining the pavement between and adjacent to the tracks. The city also received a percentage of the firms’ income. The Third Avenue Railroad Company was granted a franchise on December 18, 1852. 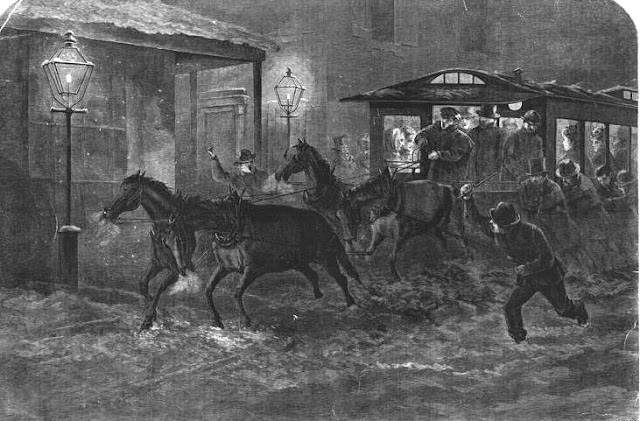 The horse-drawn cars began operating around six months later, on July 3. The company was instantly successful. A year after taking on its first passenger, the company’s line was extended to 86th Street. 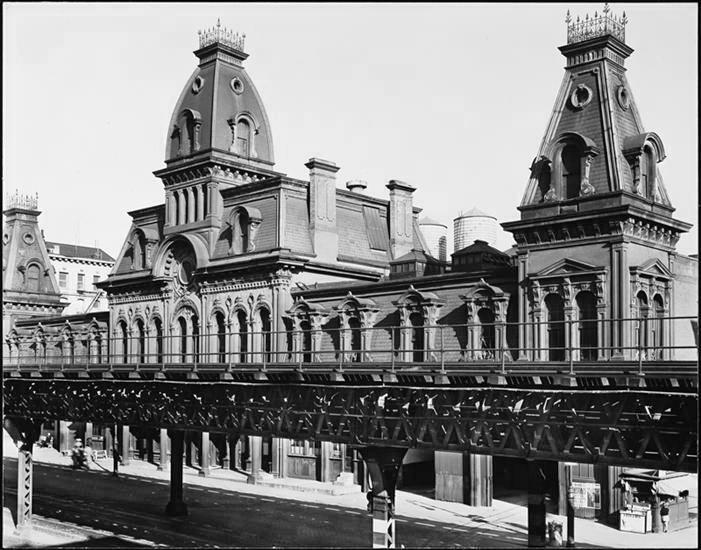 By 1859 the route ran to Harlem, terminating around 129th Street. 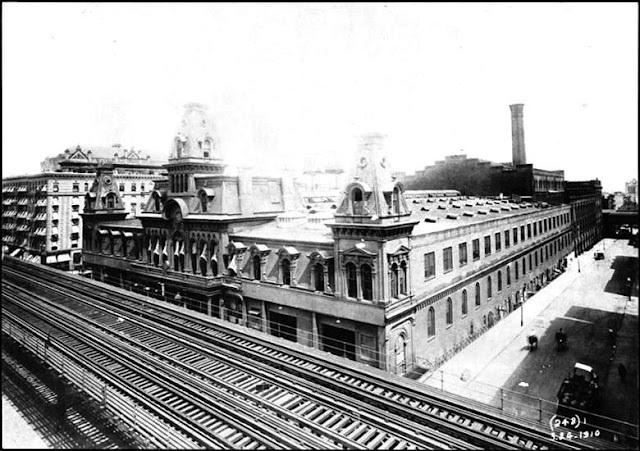 The astounding success and growth of the company necessitated a “car barn” where the street cars could be maintained and housed and the teams of horses could be stabled. The car barn was completed in 1861—a cutting-edge explosion of French Second Empire architecture. The style would not gain popularity in the United States for a few years, but the car barn introduced it with gusto. Providing a block-long expanse of floor space for maintenance and stables, it housed the company's offices on the second floor. Looking more like a railroad depot than a maintenance shed, it sprouted tiled mansard towers, ornamented dormers and spiky cast iron roof cresting. The iconic Victorian structure would be closely mirrored a century and a half later in Disney World’s pseudo-Victorian railway station. 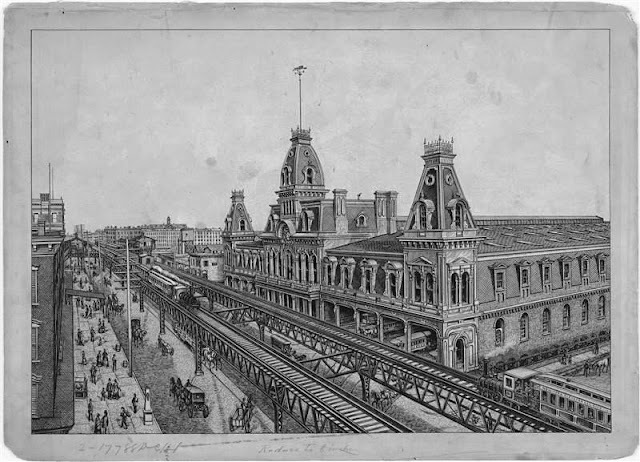 The Chicago City Railroad Company found a solution to the problem when it opened its cable traction system in January 1882. The Third Avenue Railway Company took note. The following year the company contracted the Chicago Railway’s construction engineer to lay a test cable system on 10th Avenue (later renamed Amsterdam Avenue). There had been a problem with Chicago’s system. If a cable snapped, the entire system went down. The Third Avenue Railway Company stepped around the problem by laying two cables—if one broke the other could quickly be engaged. Although many of the company’s employees were dissatisfied with the new system—it eliminated the jobs of some stable boys and the increased capacity of the new cable cars meant fewer drivers—the firm realized nearly 30 percent savings. For one thing, the life span of a car horse was only about five years, thereby requiring consistent replacement. The public was elated, as well. Reduced stable odors, horse manure on the streets and lessened damage to pavement by horse hooves were all welcomed side effects. But while he was happy with the replacement of the horse with electricity, the writer was not as pleased with the accommodations of the new trolleys. He found the 32-inch wide seats too confining. By now Schribner’s magazine deemed the Third Avenue Railway Company “the richest street railway corporation” in the nation. But the expenses of electrification and route extension took its toll. The company failed on February 28, 1900 and was put into receivership. The battle resulted in at least two arrests and some bruises. The passengers, who would have received a free transfer, continued on their way home having to pay a new fare, somewhat worse for the wear. But there was another opponent looming in the near future: the subway system. Although the streetcars continued to be used on Manhattan routes, the outlying routes were abandoned. 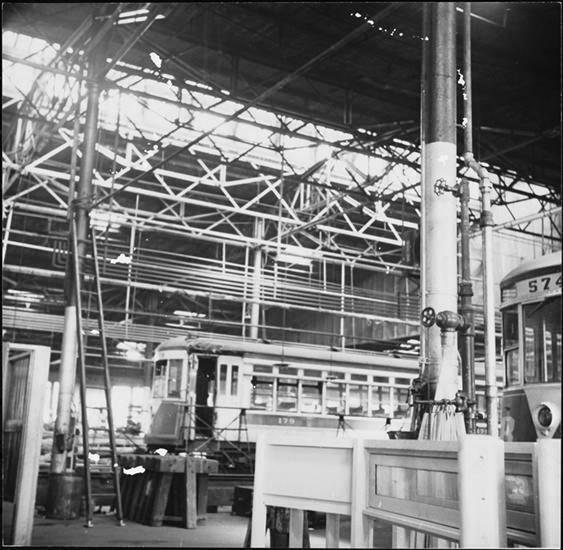 The Third Avenue Railway’s car barn was still constructing streetcars—about two per week—through the 1930s. Then in the first years of the 1940s the firm changed its name to the Third Avenue Transit Corporation and abandoned the streetcar in favor of motorized buses. By now the magnificent car barn had lost most of its Second Empire detailing, the grand towers sheared off. 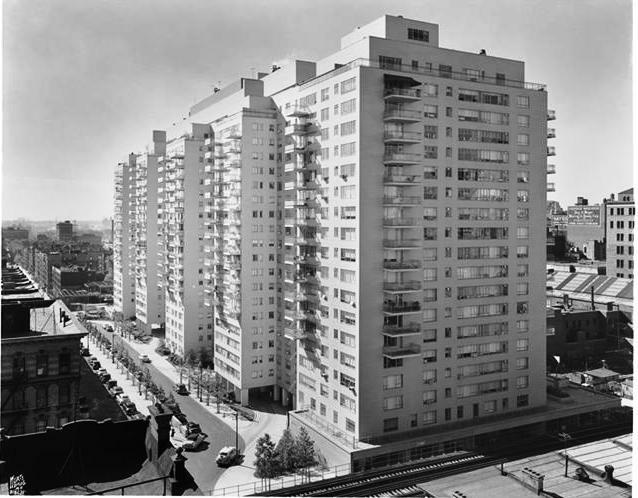 In 1952 the glazed white brick Manhattan House apartment building rose on the site of the old car barn. The 19-story apartment building still stands, an interesting example of ambitious mid-century modern architecture; but not nearly so picturesque as its predecessor. The ancestors of John Quincy Adams Ward landed in Jamestown, Virginia in 1607. As years passed, one group moved westward, stopping in the rural area of Urbana, Ohio. There on a farm on June 29, 1830, the boy was born. Ward’s father was an ardent Whig and “enthusiastic admirer of Andrew Jackson’s greatest political enemy,” as The New York Times would later explain. These political leanings resulted in Ward’s somewhat ungainly name. Unlike other farm boys, Ward had a strong artistic bent and spent his leisure time attempting to create clay figures. 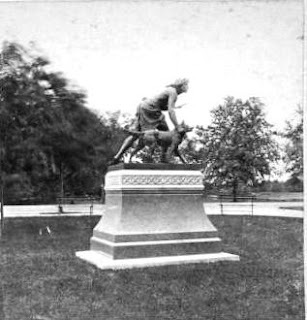 The Times said “He never saw a piece of sculpture before he was fifteen years old, but long before that he had learned how to make such queer figures with mud and clay that the country people called him ‘Ward’s queer boy.’” Although his parents considered his hobby “foolishness,” his sister who was visiting from Brooklyn recognized his potential. She convinced the Wards to allow her to take young John back to New York with her, using his frail health as her excuse. 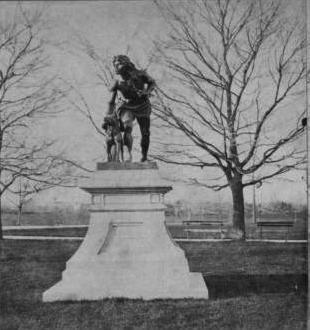 He entered the studio of Brooklyn sculptor Henry Kirke Brown in 1849 as a student and assistant, most notably working on Brown’s equestrian statue of George Washington for Union Square. 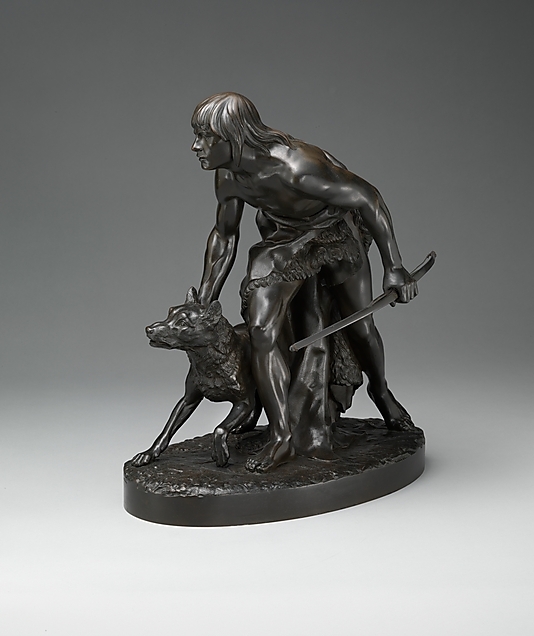 Toward the end of the seven years he worked with Browne, he created his first sketch of a Native American hunting with his dog. 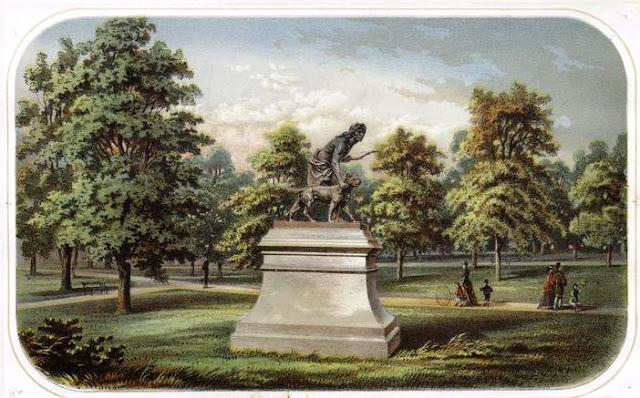 In 1859, the year after Olmsted and Vaux began work on the new Central Park, his sketch had progressed to a plaster model which he exhibited at the Washington Art Club and the Pennsylvania Academy of the Fine Arts. In 1861 he established a studio at Nos. 7 and 9 West 49th Street and reworked his Indian Hunter. A year later a bronze statuette was exhibited at the National Academy of Design’s annual exhibition. The statue would change the life of John Quincy Adams Ward. Ward’s “Indian Hunter” was ground breaking in its naturalism—a u-turn from the neoclassical style. Half a century later art critic Charles Henry Caffin would call attention to its “absence of any preconceived theories of technique, so that the group has something of a primitive, almost barbarous feeling; which, however, seems strangely appropriate to the subject.” Most importantly, it was an American statue of a uniquely American subject. Nearly a year and a half later the statue was unveiled on the Mall. The Indian Hunter sat high upon a white marble base. In describing the work, The New York Times said on April 23, 1869, “The figures are finely executed, and are better worthy of the attention than any group of statuary yet placed in the Park.” It was the first statue placed in Central Park by an American artist. By 1903 the neglected condition of the Central Park statues prompted a full-scale, nearly year-long cleaning by the Park Department. 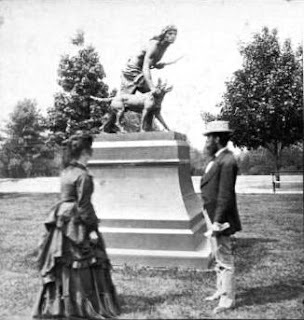 F. Edwin Elwell, curator of the statuary department of the Metropolitan Museum of Art had suggested the project and he personally directed it. The Indian Hunter had special needs. By now the statue had received a replacement base of polished granite, possibly made necessary by the erosion of the original marble. Four colors of stone create the pedestal, the top most section was updated around the turn of the century with carved cross-hatching. 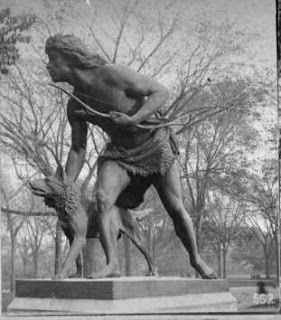 The Indian Hunter received a replacement bronze bow in 1937 after the original was vandalized, and in 1992 the sculpture was fully restored. Among the oldest statues in the park, it marks a turning point in American art and in the career of the artist who conceived it. 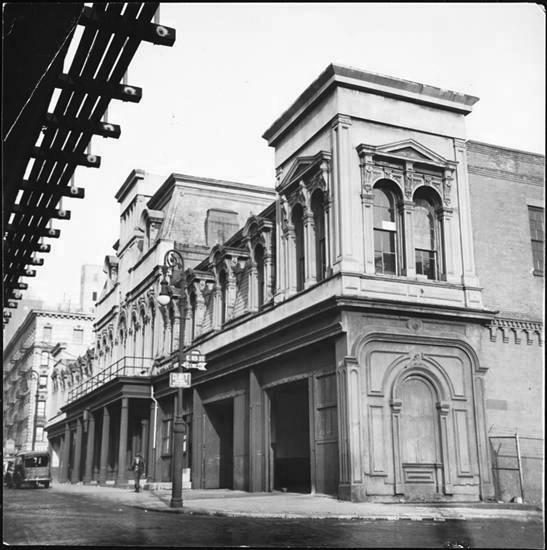 In 1880 East 69th Street, between Fifth Avenue and Madison Avenue was still mostly undeveloped. The situation would not last long and the blocks below 69th Street were filling as homeowners, now recovering from the 1873 financial depression, ventured northward along Central Park. Little by little, starting with three speculative rowhouses at Nos. 16 through 20, residences sprouted up on 69th Street. The first three houses, erected by architect and developer Charles Buek in 1880-81, would be joined in 1884 by the residence of silk merchant August Richard. By 1887 the block caught the eye of George J. McGourkey. Born in Albany, McGourkey had come to New York at the age of 18, entering a Wall Street brokerage office. His fortune grew as he became both a banker, affiliated with the Metropolitan Bank, and an attorney, representing several railroads. Now, aged 50, with the Metropolitan Bank having closed in 1884, he busied himself mostly with closing up its affairs. McGourkey purchased the building lot at No. 6 East 69th Street and commissioned 32-year old John H. Duncan to design his new townhouse. McGourkey’s choice was adventurous—the young architect who would later become well known for designing Grant’s Tomb and the Soldiers’ and Sailors’ Memorial Arch in Brooklyn’s Grand Army Plaza was still relatively unknown. The four-story house, completed in 1888, was an understated expression of the McGourkey family’s social and financial status. The limestone base and English basement was sparsely decorated with carved festoons over the entrance and parlor window. A charming stone Juliette balcony at the second floor was accessed by a door from the stairway hall. Duncan alternated bands of limestone with the reddish-brown brick at this level, subtly blending the white base into the brown upper stories. The third floor windows were framed in delicate terra cotta; while the small arched windows and engaged columns of the fourth floor gave a nod to the popular Romanesque Revival style. McGourkey’s family included three children and his wife, the former Charlotte J. Down, daughter of Samuel Down who founded the American Motor Company. As was often the case with upper class properties, the title to the house was listed in Charlotte’s name. The year that the McGourkeys moved in, George was elected President of the American Meter Company. The firm manufactured “all articles appertaining to the manufacture, testing and distribution of gas,” according to its advertisements. These included wet gas meters, dry gas meters, meter provers and portable test meters. Unfortunately, McGourkey would not enjoy his new position nor his new home for long. In 1891 he retired due to failing health. A year later, in December 1892 he died in the house on East 69th Street. Charlotte McGourkey lived on in the house with her three children. Young Samuel D. McGourkey went on to become a partner in Pritchard & McGourkey, grain merchants, with an office at 435 Produce Exchange. Unmarried, he remained in the house with his mother as his career and fortune grew. 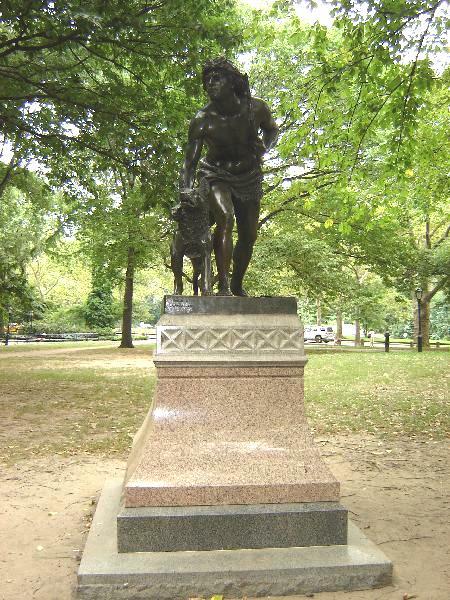 By 1911 he was a member of the esteemed St. Nicholas, New York Athletic, and Canoe Clubs. After three decades in the house at No. 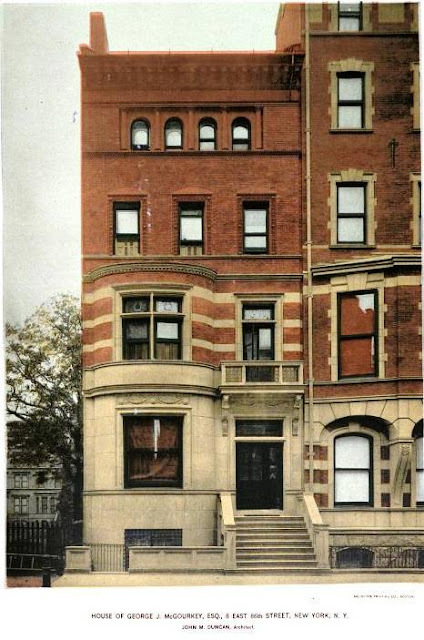 6 East 69th Street, Charlotte McGourkey died. Samuel sold the house in February 1920 for $135,000—a little over $1 million today. The buyer was Thomas M. Peters, a bachelor who had graduated from Yale University in 1912 and served in Squadron A during the war. The successful Peters was a member of the Yale, University, Downtown and City Clubs and owned a cattle ranch near Tucson, Arizona. In June 1926 his engagement to Marion Hood Post was announced, deemed by The New York Times to be “of wide interest in society.” Marion was the granddaughter of the late George B. Post, one of the preeminent architects of his day and of the late General John Bell Hood of the Confederate Army. Her uncle was architect George B. Post, Jr. Following their marriage on July 10 that year, the newlyweds returned to No. 6 East 69th Street, one of New York’s most enviable addresses. The block which had been empty lots in 1880 was now shoulder-to-shoulder upscale homes of millionaires. The problem was not the address—it was the house. The eclectic architecture of 1888 was most definitely passé in the Jazz Age. Along the block owners called in architects to renovate their Victorian homes into modern, fashionable dwellings. In 1928 Edwin C. Jameson’s house, one of the original three on the block, was updated. A year later No. 16, owned by Edwin Jameson, was given a Georgian façade by architect A. Wallace McCrea. In 1936 Thomas Peters joined the trend. He hired his wife’s uncle to remodel both the interior and exterior of the house. Whether the resulting transformation was a good idea is arguable. The now flat-faced building was remarkably unexceptional architecturally. All traces of John Duncan’s design were obliterated as the entrance with a pseudo-Federal doorway was removed to the basement, a few steps below street level. George Post clad the house in variegated Flemish-bond brick broken by two thin limestone bandcourses. Among the interior upgrades was an elevator. Immediately after the renovations were completed Peters put the house on the market. The buyer bought into an exclusive block—next door lived Ogden Mills and other neighbors included Walter J. Salmon, Edwin J. Jameson, Frederick B. Adams and Edith van Gerbig. On March 8, 1937 The New York Times announced the sale, for cash. Little has changed to No. 6 East 69th Street since then. A few of the surrounding mansions were razed to make way for modern apartment buildings; but the block looks much as it did just after Thomas Peters and some of his neighbors decided to update their Victorian residences. In the 1840s when Rufus M. Porter was not painting portraits and murals or inventing he was writing. Between 1825 and 1826 he published four editions of A Select Collection of Valuable and Curious Arts, and Interesting Experiments. At the same time he painted murals in homes and inns throughout New England—by 1845 he would have decorated around 160 rooms. In his spare time he worked on inventions. Among his inventions were clocks, churns, an apparatus for measuring distances, a cheese press, a revolving rifle and a camera (he could make silhouette portraits within 15 minutes). In 1859 the magazine relocated to larger space at No. 37 Park Row, in the midst of the publishing district. It would be the first of several moves. When that building was destroyed by fire in 1882, it moved to No. 261 Broadway and later slightly uptown to No. 361 Broadway. When the soaring Woolworth Building was completed in 1915, Scientific American was one of its first tenants. Nine years later Munn & Co. would be looking to relocate once again. This time the successful magazine would build its own headquarters. By now the block of 40th Street between Fifth and Sixth Avenues, only two decades ago lined with comfortable brownstones of the 1880s, was filling with modern office buildings. 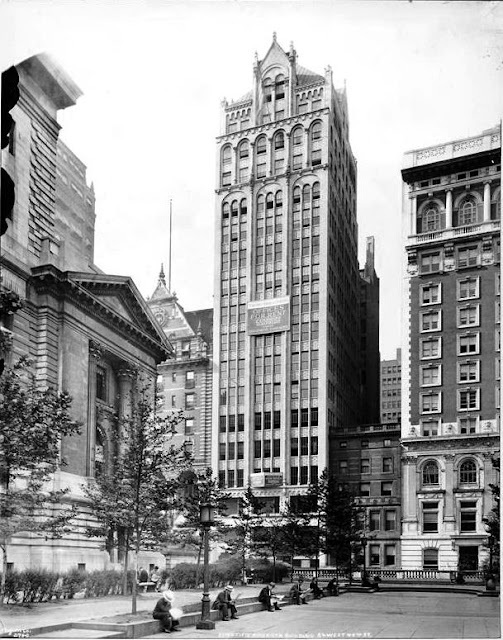 In 1924 Munn & Co. commissioned Ely Jacques Kahn, of Buchman & Kahn, to design its new home facing Bryant Park behind the New York Public Library. 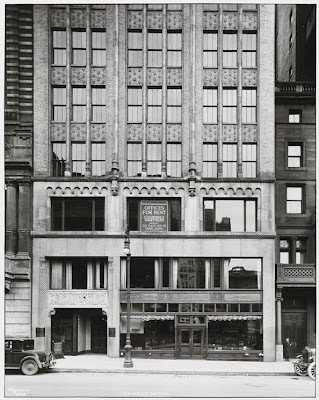 Throughout his career Kahn would produce mainly office buildings and he intrepidly moved from Beaux Arts into the modern Art Deco, Modernist and Cubism influences. But for the Scientific American Building at Nos. 24-26 West 40th Street, he drew upon the French Renaissance. Working in brick and terra cotta, he emphasized the verticality of the 16-story skyscraper with three 11-story side-by-side arches, each divided into three smaller arches, with pencil-thin colunettes drawing the eye upward. Atop was a pyramidal roof, interrupted on three sides by French dormers with spiky finials. 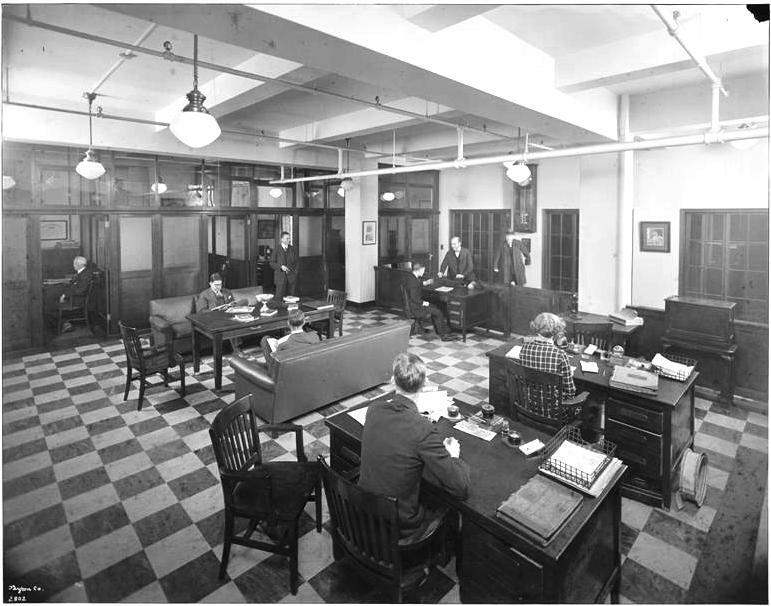 With its new headquarters, the magazine did some revamping of itself. On July 6 The Times reported “Orson D. Munn, editor and publisher, told of his plans for changes and improvements, including a new cover design, enlarging the editorial staff, contracting for articles by distinguished scientists, adding eight pages of text to each issue and increasing the number of illustrations.” Noted scientists like Albert Einstein and Jonas Salk would contribute to the magazine. 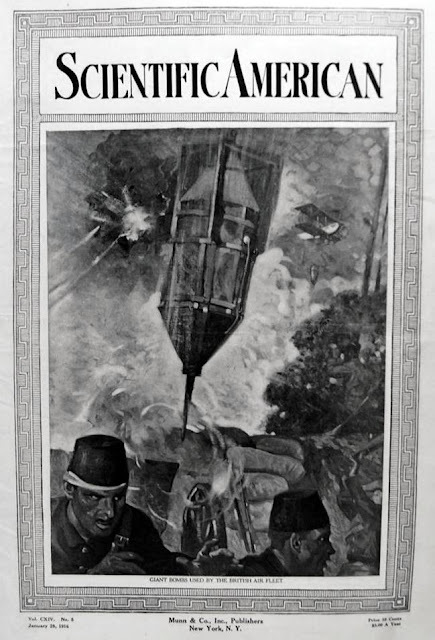 Scientific American was known for its cutting edge reporting—two decades before the radio it published articles on Marconi’s experimentation and two years before the Wright Brothers Kitty Hawk flight it published photographs of their airplane. Shortly after moving into the new building it reported on a practical exhibition of television. The demonstration emanated a moving image and the voice of the Secretary of Commerce, Herbert Hoover, from Washington, D.C. to New York via telephone lines. The work of the association had been interrupted by World War I, but now was in back in operation. The complimentary interests of the magazine and the Association made the location ideal. The years following the Great Depression and leading up to the United States entering World War II were harsh on The Scientific American. In November 1943 the building was sold to investors for $425,000. Included in the sale was a long-term lease on the ground floor, mezzanine and basement to General Ribbon Mills. Five years later Dennis Flanagan, Donald Miller and Gerald Piel purchased Scientific American from Munn & Company, founding Scientific American, Inc.
Little has changed in Ely Kahn’s stately structure designed for a scientific magazine. Even the lower levels have been subjected to little modernization. The Scientific American Building stands out in a row of exceptional structures erected along the block in the first half of the last century. In the spring of 1890 Charles L. Colby was one of the wealthiest and most powerful men in New York City. A close friend of John D. Rockefeller, Sr., he oversaw his family’s extensive railroad interests and sat on the board of directors of the Northern Pacific Railroad among others. To design his exceptionally wide residence Colby commissioned the Boston architectural firm of Peabody & Stearns. Completed in 1893 the limestone-clad mansion relied on restrained decoration—quoins, a rusticated parlor floor, subtle carvings around windows and band courses, and a handsome carved balustrade protecting the English basement—to produce a dignified presence. It is unclear whether the adjoining lot purchased by Colby was to the rear or to the side; however on May 13, 1894 John J. Emery acquired the two lots directly behind the Colby house. Peabody & Stearns designed a nearly mirror image mansion for the real estate tycoon—a social and architectural surprise in the gilded age when competition ran high. In 1895, two years after the Colbys moved into their new home, James Ambercrombie Burden, Jr. married Florence Adele Sloane in one of the most important social weddings of the year. Florence was the daughter of carpet manufacturer William D. Sloane and the great-granddaughter of Commodore Cornelius Vanderbilt. Burden’s family fortune was made in the iron industry, and at the time of the wedding his income was over $1 million a year. 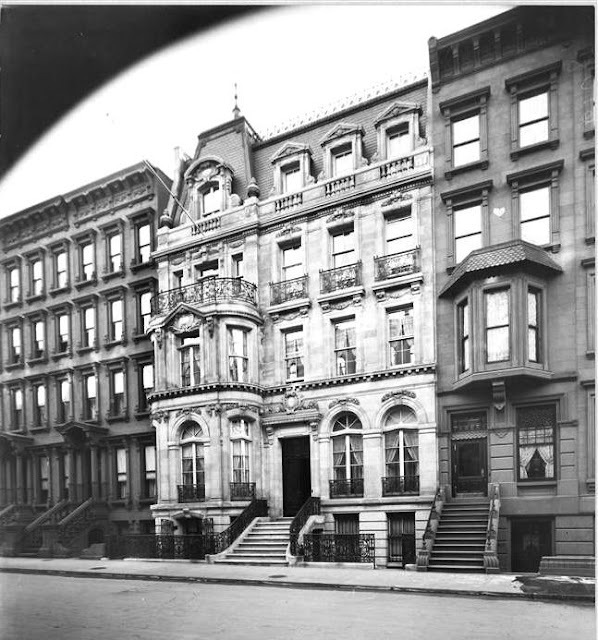 Sloane promised the couple a new mansion, built on Carnegie land along East 91st Street. But in the meantime they needed an appropriate place to live. The beans were soon spilled when The Lafayette Weekly reported that James A. Gayley “purchased for his family residence the handsome house occupied by J. A. Burden, Jr.” Gayley had just been named vice-president of the United States Steel Corporation. 1907 would be a triumphant social year for the Gayley family—or at least it would seem so to New York society. In February the house was the scene of a brilliant cotillion for debutante daughter Agnes Malcolm Gayley. “The Gayley home, 8 East Sixty-ninth Street,” reported The Times, “is so arranged that the ground floor can be thrown practically into one room. This was done last night. 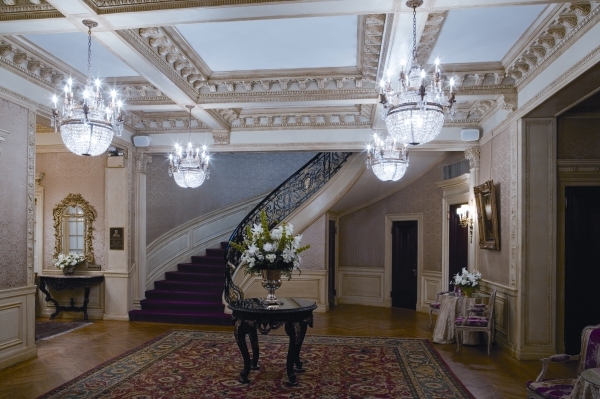 After taking off their wraps, the guests descended the main stairway to the large foyer hall, where they were received by Mrs. Gayley and her daughter.” The glittering party was attended by the society’s most elite, including names like Fish, Schuyler, Schiffelin, de Peyster, Fairfax and Roosevelt. The same year, at noon on November 16, the house was the setting for the marriage of Agnes’s older sister, Mary, to Count Giulio Senni, son of the Count and Countess Vincenzo Senni of Rome. A breakfast and reception followed the ceremony. It would seem that the Gayleys’ lives had reached perfection. But behind the veil of cotillions and receptions things were not going smoothly in the Gayley household. A year later, in November 1908, things came to a head. 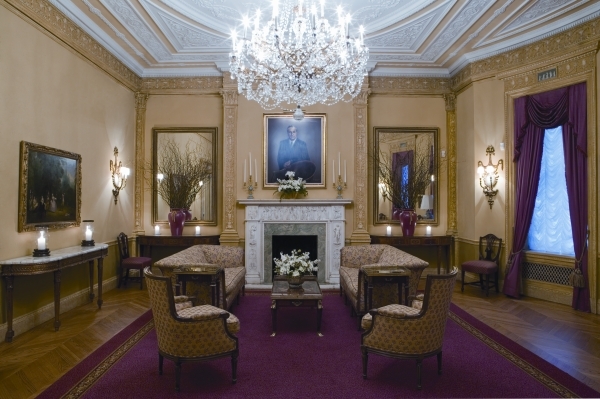 Julia Gayley left the mansion on East 69th Street and moved into the Colony Club where she was a member. Soon afterwards she took a suite of rooms in an apartment house at No. 20 Fifth Avenue. At the same time, James Gayley moved into the Hotel Savoy. The cavernous residence that had been the scene, as The Times put it “on many occasions, of brilliant functions,” was now occupied only by servants. The couple moved to New York, were married in the Hotel Netherland, and after a tour of Europe began life at No. 8 East 69th Street. The house cost Valentine $550,000; nearly $10 million today. In addition to the city house the Valentines maintained two summer estates, a lodge in Oconomawoc, Wisconsin and a sprawling home in Southampton, Long Island. Only seven years later, however, Patrick contracted Bright’s disease. After an illness of five months, the 55-year old died on August 21, 1916. Although his 13-year old son, Patrick Anderson Valentine, inherited two-thirds of the substantial estate, Mary had her own fortune to fall back on. Mary Lester Armour Valentine remained in the 69th Street mansion and was notable in social functions and charities. In 1919 her youngest son, Lester, married Leola Stanton. Philip was already living in Chicago, running the family business; so Mary lived on in the cavernous residence alone with her servants. In 1967 when the Swedish Consul General sought more modern facilities for the Consulate, the house was acquired by the Columbus Citizens Foundation to house its offices and functions. The Foundation sponsors the annual Columbus Day Parade, exhibitions and other events to aid in the education of Italian-American students. Nearly 120 years after its completion, the mansion has managed to elude being divided into apartments or demolished. Little has changed in the broad limestone house with its long list of stories. By August of the following year the Seymour Hotel was nearly ready for occupancy. 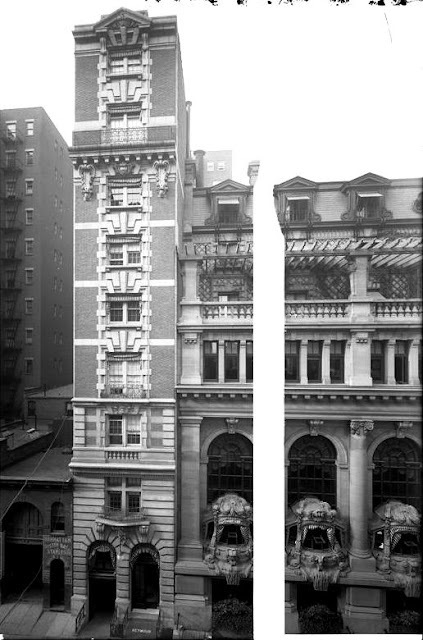 Built by developers Irons & Todd, it was touted as “fireproof” and “positively exclusive.” Unlike the Royalton or the Hotel Mansfield which would open on West 44th Street a year later in 1903 the new Seymour was not intended just for bachelors; but was marketed to well-to-do families. M. F. Miller was the President of the Iroquois Hotel at No. 49 West 44th Street and his brother, J. C. Miller, was its Secretary and Treasurer. 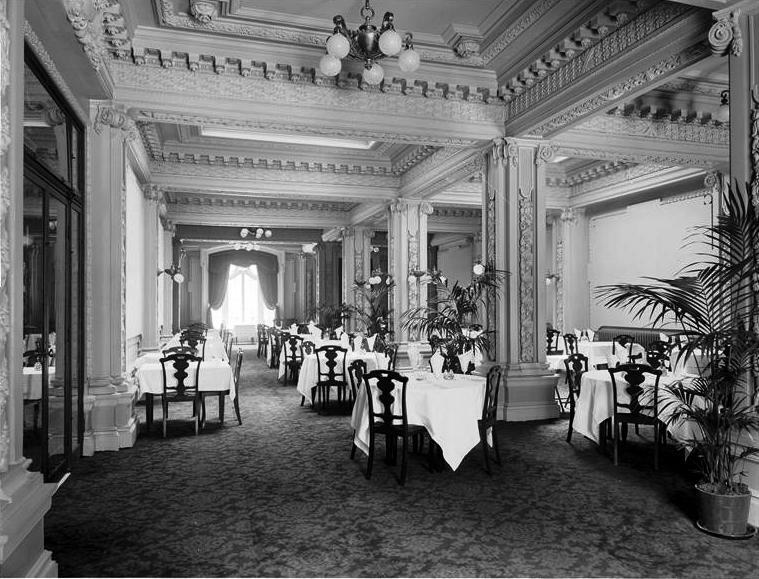 On August 16, 1902 they added the Seymour to their responsibilities, leasing the new hotel from Irons & Todd for 21 years at a gross rental of $1,395,900. On October 1 the Seymour Apartment Hotel opened its doors to its new residents. The Beaux Arts building was constructed of red brick with limestone trim, sitting on a two-story rusticated limestone base. The main 45th Street entrance was framed in a dramatic limestone portico above a set of three stone steps. The white stone quoins and bandcourses contrasted with the red brick and a sumptuous balcony stretched the wide of the structure at the 10th floor. On the narrow 44th Street side, the skinny building did its best to keep up. It mimicked the rusticated base and even the balcony; yet the strange proportions resulted in a gawky, cartoonish structure. Among the first of the wealthy residents to move in were J. H. Taylor and his wife. 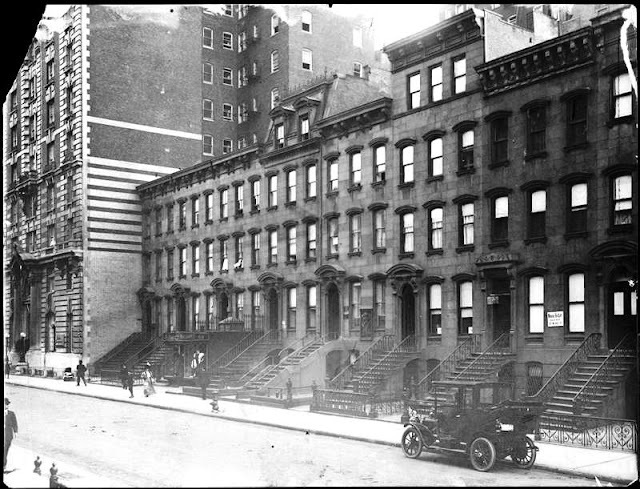 Around 6:00 on a Wednesday evening in July 1903 the couple left their apartment, locking the door behind them, and went to the hotel dining room. Upon their return the door was locked as they had left it; but upon entering the apartment they noticed things were out of place. Mrs. Taylor discovered $8,000 worth of jewelry missing, including a diamond sunburst, a diamond brooch, several rings and other jewelry that had been left in a chamois bag in the dresser. Within days three hotel employees were arrested, albeit with no evidence. Norman Powell, a 21-year old porter, and Alice Howard, a 22-year old check attendant in the restaurant, also lost their jobs and were arrested. Adding to the question of their character, Detective Walsh discovered that “the Howard woman and Powell” lived together unmarried. A search of their rooms found a few items of silverware with the hotel restaurant’s monogram; but none of the jewelry. Detective Walsh admitted to Magistrate Barlow that “he had no evidence that any of the prisoners were concerned in the theft of the jewelry.” Nonetheless he requested that they continue to be held on $1,500 bail. Another of the early residents was General Louis P. di Cesnola, the director of the Metroplitan Museum of Art, along with his daughter, Louise. Upon the death of his wife, he took an apartment in the Seymour. A veteran of two Italian wars, di Cesnola had come to New York in 1860 and opened a school of languages. But the signs of the coming Civil War prompted him to convert his language school into a military academy where he taught militia officers in swordsmanship and tactics. In 1861 he had 300 pupils and after the firing on Fort Sumter, the Italian offered his services to the Union. A Colonel of the Fourth New York Cavalry, he was wounded at the battle of Nedia, Virginia and lay for four hours under his dead horse. Discovered by Confederate soldiers, he was confined to a military prison for the rest of the war. In 1865 President Lincoln appointed him United States Consul to Cyprus. There General di Cesnola began his collection of archaeological artifacts which grew to the point that in 1877 it was regarded as the “most wonderful” collection in the world, according to The Sun. He sold it to the Metropolitan Museum of Art for about $90,000 that year. He was made a trustee and director of the museum and worked tirelessly to make it the foremost museum in the world. The general filled the apartment at the Seymour Hotel with priceless artwork and antiquities and a substantial library of first editions signed by the authors. In November 1904 he telephoned the Metropolitan Museum saying he was “a little under the weather,” and asked that his mail be sent to him. He worked from home that day, dictating letters to his secretary, Mr. Parry,. The following day he was still not feeling well and summoned Dr. Carlo Savini who diagnosed a severe attack of asthma and a slight kidney complication. The physician instructed di Cesnola to remain in bed. “The General didn't like these orders, so he compromised by lounging around most of the day,” said The Sun on November 22. He went to bed at 9:00 that evening and died an hour later. A year later the General’s now-married daughter, Mrs. Guy E. Baker, returned from a short trip and noticed that items were missing from the apartment. “They included paintings, bric-a-brac, clay modelings, ancient antiques and valuable books,” reported the New-York Tribune. Once again it was an inside job. The 21-year old elevator boy, Frank McCarthy, was arrested by detectives on May 20, 1905. In his room at No. 777 Eighth Avenue they had found “costly paintings, antiques and editions de luxe.” Among the recovered artwork was a painting by Murillo. Warner, in 1908, did a one-man vaudeville sketch “At the Telephone,” in which he was on stage for nearly twenty minutes holding an imaginary telephone and captivating audiences. A member of the Lambs, he was well known in Broadway and theatrical circles. But by the early months of 1909 he had grown “morose and melancholy,” according to friends. Warner then closed the doors between the sitting room and his bedroom and made a noose from a valise strap which he fastened to the top of the door. He stood on a chair and after fitting his neck into the noose, kicked the chair from under him. Unfortunately for Warner, his neck was not broken and he slowly strangled to death. The two checks were for $27, to cover his funeral expenses, and $150 to pay for his outstanding bill at the Seymour. At the same time the Russian Baroness de Beckendorf, wife of a Russian army officer, had an apartment here. As the United States edged closer to involvement in the world war, she held a press conference in her rooms on July 30, 1916 declaring that German chemist C. L. Wettig had attempted to kill her husband, the Baron Beckendorf, before he returned to the Russia army and that he had stolen $1,000 of jewels from her. 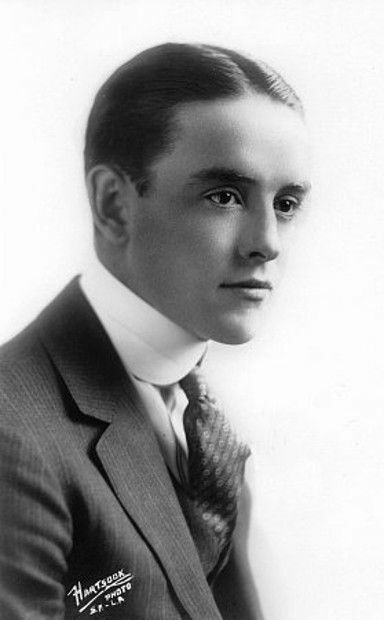 The handsome and popular silent picture actor Robert Harron lived in the Seymour Hotel in 1920. In 1920 young motion picture actor Robert Harron had come a long way from his childhood home in Greenwich Village. Called by the New-York Tribune “one of the best-known moving picture stars,” he had appeared in leading roles in D. W. Griffith’s “The Birth of a Nation,” “Intolerance, “Hearts of the World” and other productions. The handsome leading man was unpacking a trunk in his apartment in the Seymour Hotel on September 1 when a revolver fell from the pocket of a coat. The weapon fired as it hit the floor, sending a bullet into the actor’s chest. Five days later, at the height of his career, the dashing actor died of his wound. While some of the old hotels—like the Royalton—were reclaimed with multi-million dollar makeovers; it was not to be for the Seymour Hotel. 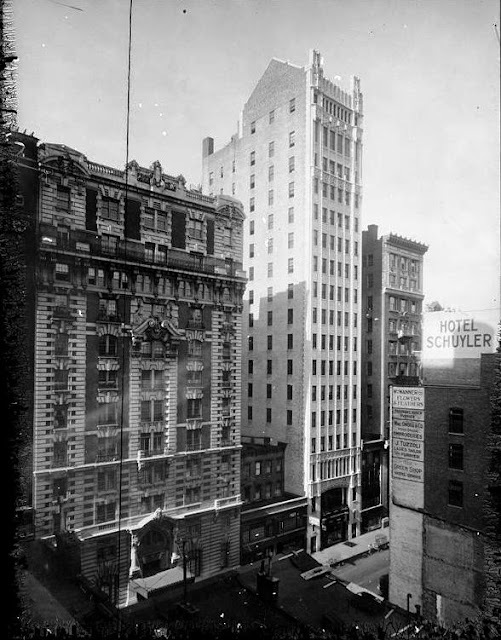 In 2000 it was demolished, replaced with the soaring 30-story Sofitel which, almost ironically, has its main entrance at the skinny little plot on West 44th Street.